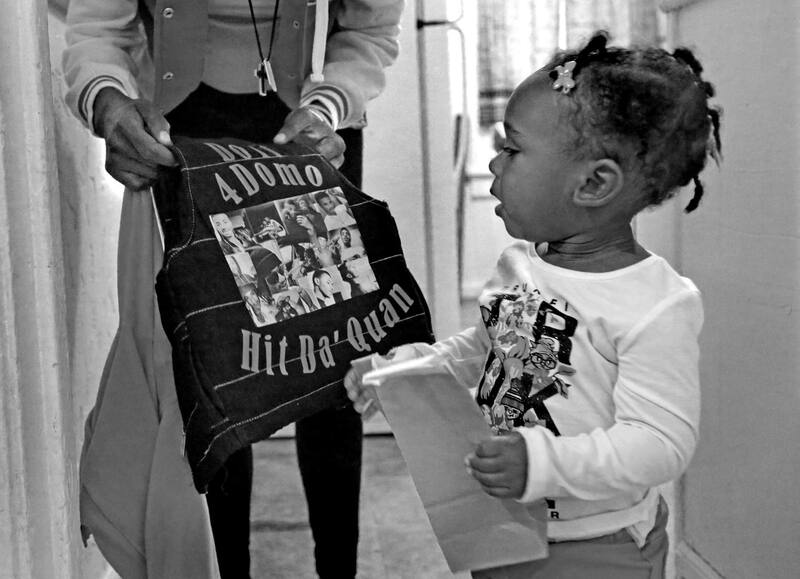 Young gives her great-niece Mylee a vest to wear for the balloon release to celebrate on what would have been Dominique's 22nd birthday on Oct. 17, 2015. Young dove on Mylee the night of the shooting in attempt to shield her from the gunfire. "She loved Dominique," said Young. "He played with all kids. He was a kid himself."